Employees at Facebook’s European headquarters at Grand Canal in Dublin may want to consider telecommuting on Oct. 7. The Irish Times reported that Irish-language activist group Misneach is organizing a protest at the social network’s Dublin headquarters over its real-name policy and the way it has been enforced against users opting to use their Irish-language names. 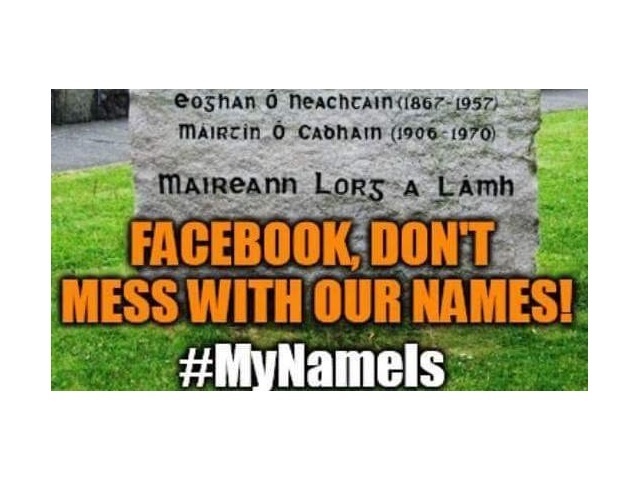 Misneach told The Irish Times many Facebook users decide to use their Irish names after joining the social network, but they cannot produce the official documentation required by Facebook, such as birth certificates, driver’s licenses or non-government ID. The issue is also the subject of a petition on Change.org, which had tallied more than 600 signatures at the time of this post. According to The Irish Times, the protest is scheduled for 2 p.m. local time Oct. 7. Readers: What are your thoughts on Facebook’s real-name policy?